More last-minute shoppers can now enjoy a hassle-free shopping experience this Christmas season as Globe myBusiness, together with Shopify, introduces the country's first-ever online bazaar DigiMall. On December 18 to December 20, 2015, shoppers can get their gift lists ready as they use the online platform to purchase items from over 25 Shopify-powered merchants. Customers can now skip the long lines and time-consuming traffic by logging on to www.DigiMall.com.ph and they will be led to links of the different participating ‘virtual booths’. Leading the roster of Shopify-powered merchants include Cake Shots, YouPoundIt, Renegade Folk, and the Globe Gen3 Store. Merchants are able to sell from the comfort of their home, while customers easily shop through a few clicks on their mobile devices. The DigiMall cyber event features Shopify-powered sites or “virtual booths” of selected merchants with unique items—from hand-woven baby sandals to alcohol-infused cupcakes. From the popularity of bazaars during the holiday season, bazaar owners now have a way to reach their customers through a Shopify online store. This way, more people can preview and buy their products at the comfort of their own homes powered by internet connectivity. To get more business owners onboard, Globe myBusiness went to some of the biggest bazaars around the metro including the St. James Christmas Bazaar at Ayala Alabang. Some of the merchants signed up for their own Shopify account so they can have the opportunity to sell more online, and join the DigiMall online bazaar. 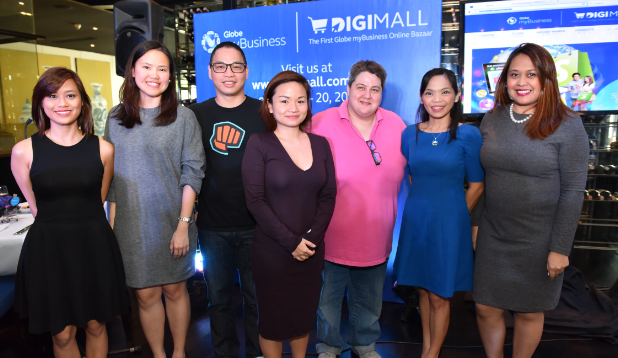 “With DigiMall, Globe myBusiness aims to shift the focus from the weekend bazaars and shops to the online stores. This is why we have also solidified our partnership with Shopify so that more and more merchants can expand their business and digital footprint. The holidays is the perfect season to demonstrate this as shopping now happens on-demand with the rise of mobile access. 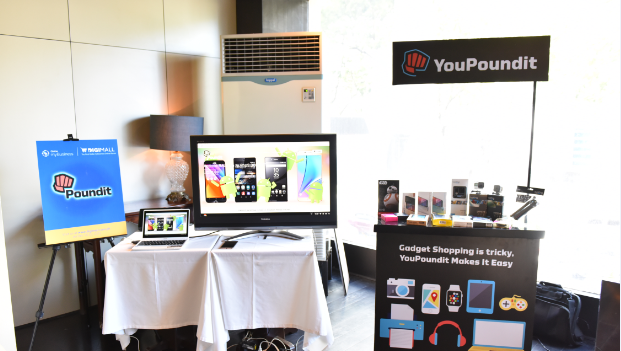 As more business owners put up their own online stores, they are able to serve and cater to a growing number of customers who live the digital lifestyle which includes shopping and e-commerce,” says Globe myBusiness Senior Vice President Martha Sazon. As a special treat, Globe myBusiness will be awarding 15 lucky winners each receiving P5000 worth of shopping spree at the World Bazaar Philippines happening at the World Trade Center until December 21, 2015. Users just need to log-on with their contact details at the DigiMall site. Skip the traffic, long lines and crowds, and get the best finds from Globe myBusiness’ DigiMall Online Bazaar powered by Shopify. Just visit www.DigiMall.com.ph. To know more about Globe myBusiness and its suite of products and services, visithttps://mybusiness.globe.com.ph.